It’s 8am and I am feeling like one of the luckiest people in the world. 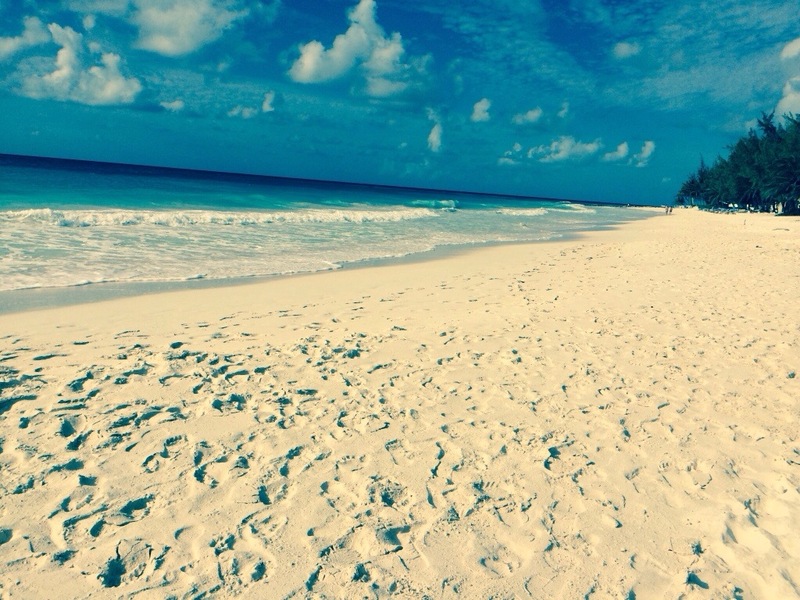 This little beach in Barbados has powdery vanilla coloured sand and the sea really is the most beautiful shade of turquoise. It is so peaceful, even with the sound of the waves crashing gently onto the shore. The huge palm trees behind me are swaying gently in the cooling breeze and there are just enough clouds to give the occasion welcome respite from the heat of the already strong morning sun. The people are so friendly, the vibe is chilled yet electric at the same time. The food is delicious and the cocktails are divine.